A water intrusion events consists of events like roof leaks, sewage floods, pipe breaks, storm flooding, etc. These events cause varying degrees of wetting or damage to building structures and finishes that, given the materials staying wet/damp for 24 to 48 hours can produce mold growth. 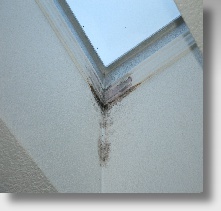 The degree of mold growth will vary with how long the material is wet/damp. If the water remediation fails to provide quick and thorough drying, mold growth can continue inside walls and other hidden places that are not easily dried. 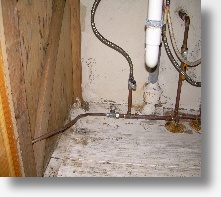 The first steps in recovering from a water intrusion event is to correct the problem (eg. repair the roof, fix the leaking pipe, etc.) and begin drying as quickly as possible. If thorough drying cannot be completed with the 24 to 48 hour time period, mold growth is quite likely to occur and will continue until the drying is completed. Also note, that once the growth has occurred, drying out the material will not ‘kill' the mold that has grown - the mold will simply go dormant and wait for future favorable growth conditions to resume growth. A post water intrusion event mold inspection should involve, at a minimum, a thorough visual inspection of all flooded areas of the home or building looking for indications of water intrusion (staining, paint blistering, finish delamination, water induced deterioration, etc. ), or actual visible mold growth. The visual inspection should include testing suspect areas with a moisture meter to determine the presence of moisture at levels that could support mold growth. Following the visual inspection samples of suspect growth or areas suspected of containing growth may be collected to confirm the presence of mold. Sampling may include direct sampling of a suspect mold colony, general surface sampling to determine the mold burden and/or air sampling to determine the presence of elevated levels of mold particulates (spores, hyphae, etc.) in the air.